The Module «Allergology and Clinical Immunology» of Kazakh National Medical University named after Asfendiyarov S.D. was organized at the initiative of Ispayeva Zhanat in 2011. Initially it was organized as a course of allergology, and it was created by the decision of the Academic Council in independent module with name «Allergology» in 2012. This module was renamed to the module with name «Allergology and Clinical Immunology» in 2014. 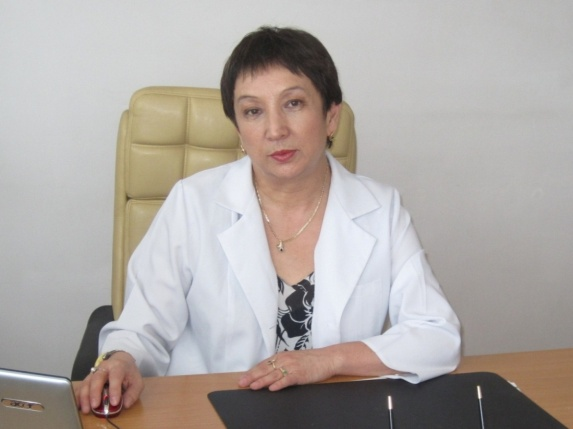 Head of the Module «Allergology and Clinical Immunology» is Ispaeva Zhanat, MD, PhD, Chief children’s allergist of Ministry of Health of RK, Chairman of the Republican «Association of Allergology and Clinical Immunology.» She is a Member of the European Academy of Allergology and Clinical Immunology (EAACI) since 1999 — WAO (World Allergy Congress); Director and coordinator of the national programs for asthma, allergic rhinitis and atopic dermatitis in the Republic of Kazakhstan (1998, 2004, 2005, 2007, 2011 years). Ispayeva Zhanat is organizer of the annual international conference «Asthma and Allergies» with the participation of leading experts and abroad in the “world allergy”. She is organize the Annual International scientific-practical conferences «Asthma and allergy» number of 14, since 1998 and 1st Congress of Allergology&Clinical Immunology of Republic of the Kazakhstan (in 2014). She is the author of 150 publications, 10 methodical recommendations on major issues of Allergy and 1st textbook for children’s allergist on national language. The module is on the following bases: Regional Diagnostic Center, GKB№1, City child clinic №7 (Municipal Center for Pediatric Allergy). The Republic Kazak Association of Allergology and Clinical Immunology» was opened led by Professor Ispayeva Zhanat, which comprises from 9 branches in the following cities: Astana, Kostanay, Shymkent, Aktobe, Atyrau, Kokshetau, Uralsk, Karaganda, Ust-Kamenogorsk. The «Association of Allergology and Clinical Immunology» was included in the European Academy of Allergy and Clinical Immunology (EAACI) for the first time in history of Kazakhstan. 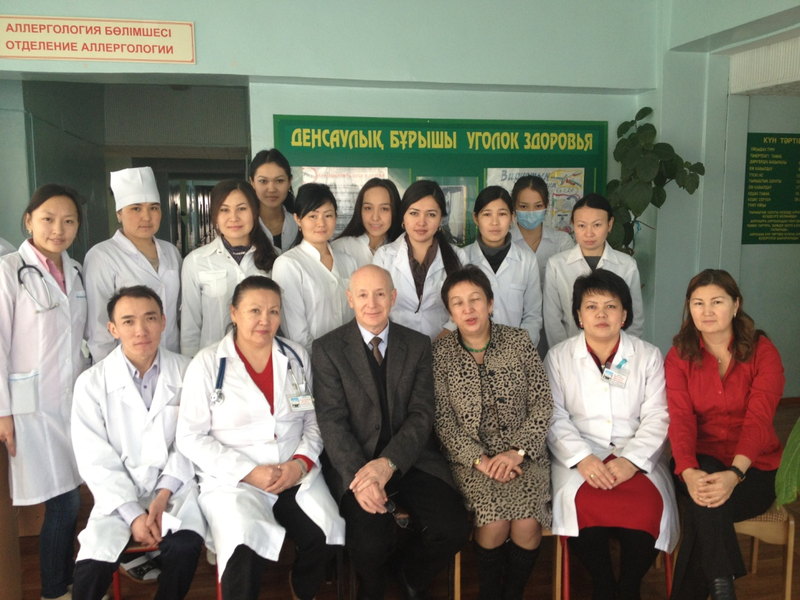 The EAACI include members from 47 countries, including the Republic of Kazakhstan. Employees Module – the highly qualified specialists in the field of allergy, with extensive teaching and research experience. A large work is the conduct training, seminars and workshops on topical issues for allergist and other doctors from different medical institutions in all regions of the Republic of Kazakhstan (Almaty, Astana, East Kazakhstan, South Kazakhstan, Atyrau, Aktobe region). Employees module actively involved in university life, do a great educational, methodical, scientific, clinical and educational work. The Module is guided by the state educational standards and other regulations of the Republic of Kazakhstan in the field of higher education, orders and directives of the Ministry of Education and Science, orders and directives of the Rector KazNMU named after Asfendiyarov S.D., the decisions of the Academic Council and the Academic Council of the Graduate School of Medicine, as well as the Regulation on the Module.